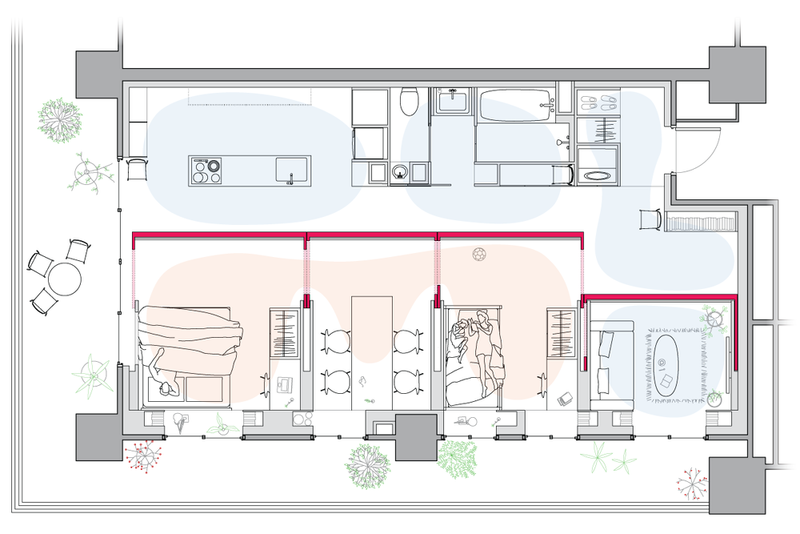 Dekoboko Apartment creates a new type of variable space through the use of four scalable boxed rooms which control a system of customizable living through the movement of their surfaces. 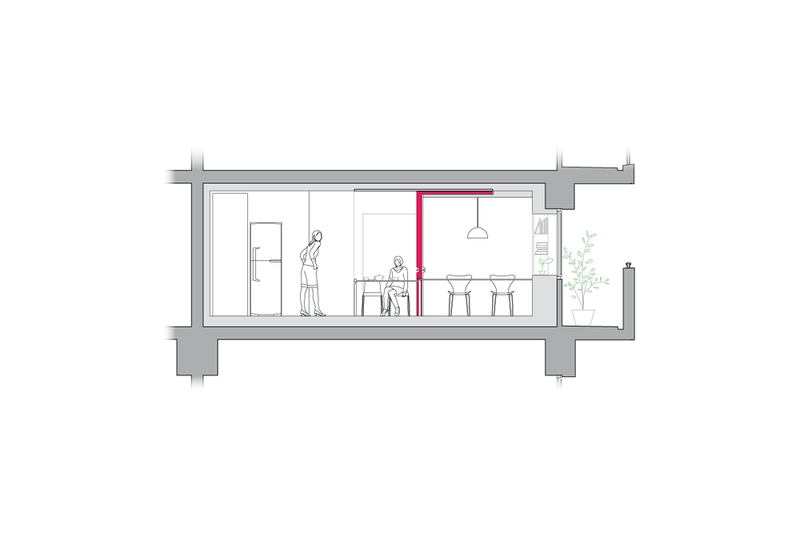 As doorways into each room are located through a box's side, one can only enter a private room by connecting it to a more common space. 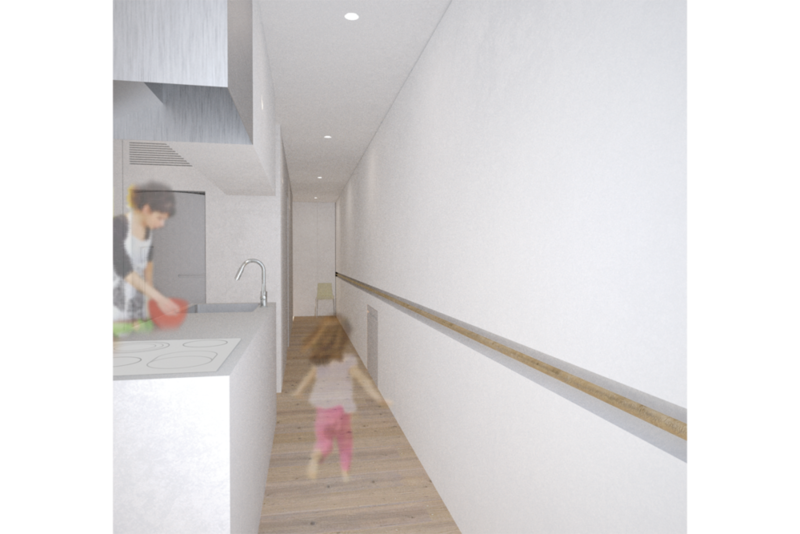 The movement and opening of the boxes also effects a marginal space running through the center of the apartment. 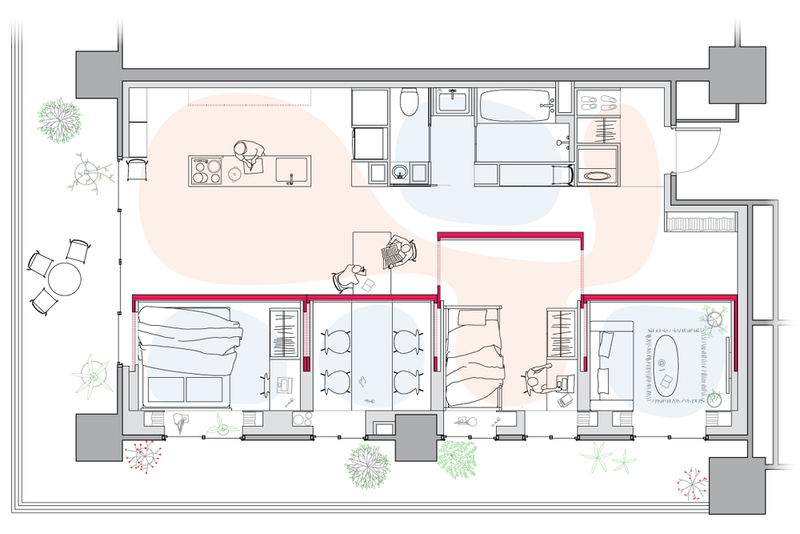 This marginal space can, at different times, be a part of individual small private zones, become a single large common space, or create dynamic spaces mixing private and common areas depending on the position of the movable box surface. Dekoboko is the quality of a certain　unevenness or roughness, where something pops in and out. The word’s kanji matches its meaning, 凸凹, which became the inspiration behind the movable boxes.